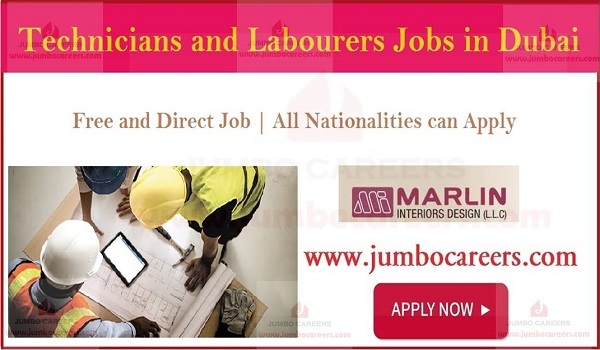 Marlin Interiors Design LLC Dubai is conducting latest walk in interview for hiring technicians and labourers for Dubai urgently. Its free and direct job by the company. Location : Marlin Interiors Design LLC, Arenco Warehouse, Near Noor Bank Metro Station, Behing Time Square Al Quoz 1, Dubai. Must Bring : Updated CV, Educational Certificate, Experience Letters, Passport, Visa & EID Copies.